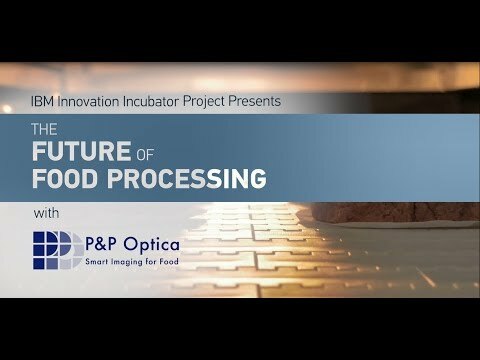 P&P Optica’s Smart Imaging System can “see” the chemical make-up of the food as it passes by at line speed. Unlike other vision systems, our patented technology uses hyperspectral imaging to understand food quality and find foreign contaminants. PPO's Smart Imaging System can collect rich information about food chemistry: protein, water and fat content; tenderness; freshness and more. Our system can also detect even very small foreign materials on the line, at line speed. Manage your plant and your food quality in real-time with PPO’s in-depth analytics and reporting. Reduce customer rejections and consumer recalls. Simultaneously detect plastic, bone, metal, wood, rubber and more. Identify foreign material as small as 2 mm in-line and real-time. Improve food quality with rich information and insights. Accurately measure protein, water, fat content and much more. Meet your customers’ expectations, every time. Keep your suppliers accountable for quality. Save time and money by reducing food waste. Accurately separate food waste from good product. Reduce waste by identifying issues sooner. Resolve issues quickly with in-line, real-time data.